Buying a new shower head can be a really confusing task. Shower heads come in a variety of styles, designs and finish options these days. What’s more, you also need to consider the features and the price of a shower head before making a purchase. Today, we’ll take a look at all the things you need to consider when you’re buying shower heads in Perth. Whether you’re renovating or building a bathroom or simply looking to upgrade, this guide will come in handy. And, always make sure to choose high-quality shower heads in Perth such as those from Alpine Building Products’ range. Shower heads come in many different types including wall-mounted shower heads, handheld shower heads, rainfall shower heads and dual/multiple shower heads. Wall-mounted shower heads are the most basic type of all shower heads. They are fixed onto the wall at a certain height and are simple, effective and easy to install. They’re the perfect choice for those on a budget. 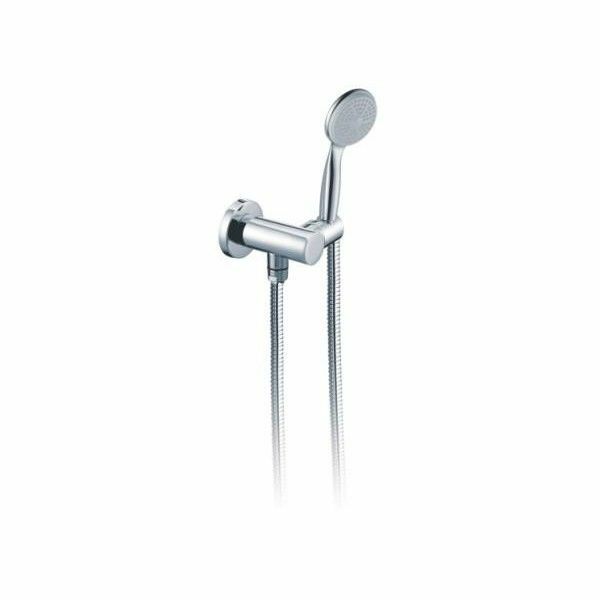 Handheld shower heads are probably the second most common type of shower heads after wall-mounted shower heads. They are handheld, and can be moved around with ease. This makes them very functional and versatile. It also makes them a great choice for people of all ages. You’ll find a great range of handheld shower heads in Perth, which vary in design. One example is the Charli Hand Shower from our range – it exhibits elegant looks and is highly versatile. Rainfall shower heads are trending right now. They are large in size, and are designed to simulate the feel of dripping rain. The rainfall effect offers a gentle and relaxing bathing experience which everyone is sure to love. Rainfall shower heads should be mounted on ceilings for the best results, but they can be wall-mounted with a shower arm if unable to be ceiling-mounted. 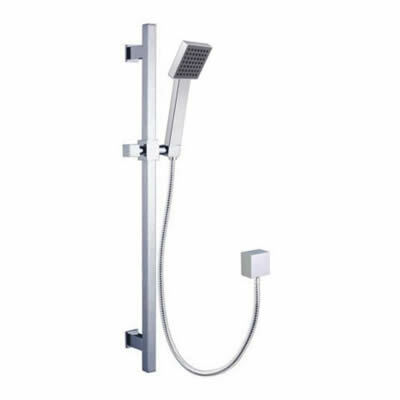 The Cube Shower Head offered by Alpine Building Products is a great example of an elegant and modern rainfall shower head. Dual/multiple shower heads include both an overhead shower as well as a handheld shower. They are the most practical and the most versatile of all types of shower heads. In fact, some dual shower heads even include a rainfall shower head. Alpine Building Product’s Cube Hand Shower Rail Set is the perfect example of this. This shower head offers the best of everything and also comes with striking looks. After you’ve selected a shower head type to go with, you still have to consider few other things. These include the water efficiency and the installation requirements of a shower head. 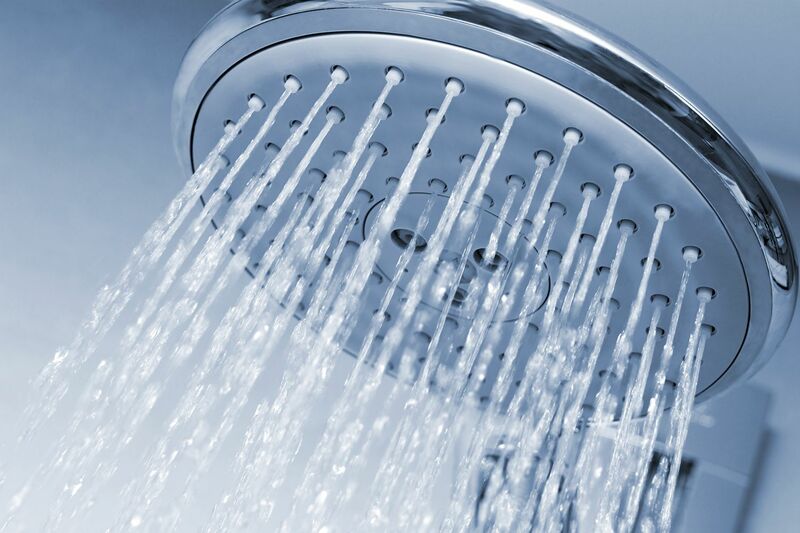 Water efficiency is very important when it comes to choosing a shower head. You really don’t want to purchase a shower head which isn’t efficient as this will raise your water bills. Always choose shower heads which are rated as WELS 3 stars or above. All shower heads from Alpine Building Products’ range are rated at least WELS 3 stars. Finally, always make sure to purchase shower heads in Perth that are easy to install. The shower heads offered by Alpine Building Products are perfect in this respect. Every shower head from their range is designed for easy and straightforward installation. They also offer other bathroom accessories to go with shower heads such as shower arms. Trust that you won’t go wrong by choosing them. Before you purchase shower heads in Perth, you need to know more about them. Shower heads come in various types including wall-mounted shower heads, handheld shower heads, rainfall shower heads and dual/multiple shower heads. Each type offers its own advantages. Consider your preferences before choosing a type. You must also consider the water efficiency and the ease of installation of a shower head when you make a purchase. Always buy water efficient shower heads with a WELS rating of 3 stars or above. Also, make sure that the shower head you choose offers easy installation. 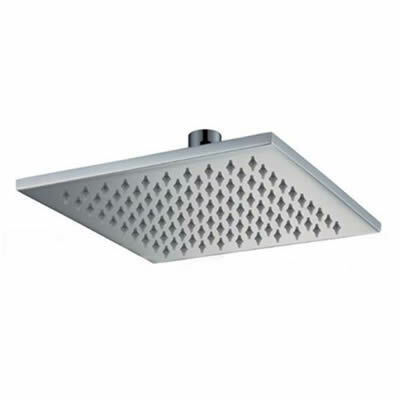 When it comes time to purchase your shower heads in Perth, always look for an Alpine Building Products shower heard. You’ll find our products stocked in all reputable retailers throughout Perth. Visit our store locator page to find your closest Alpine Building Products stockist today.